The Cambridge Collection at Windmills in Tulare is now selling. TULARE, Calif. - April 24, 2018 - PRLog -- Lennar Central Valley is thrilled to announce that presales have launched for their newest community Windmills, allowing homebuyers to purchase at early, pre-model pricing and reserve their preferred home and homesite. Windmills offers Lennar Central Valley's upscale Cambridge Collection of home designs. 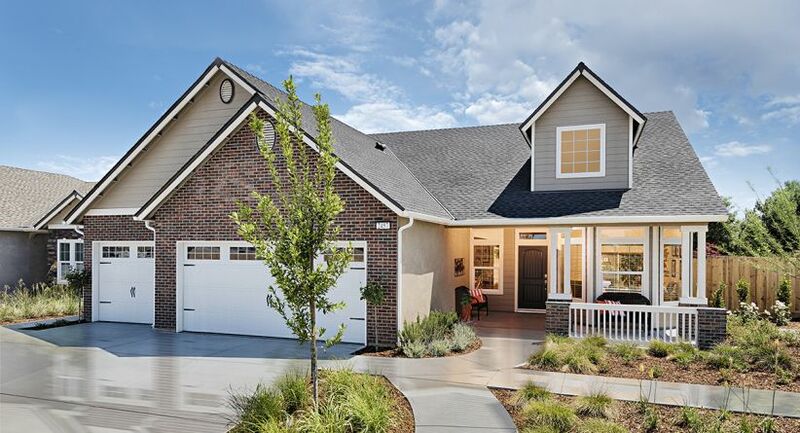 "Our popular Cambridge Collection of new home designs is offered at the upcoming Windmills community, providing five distinctive floorplans in both single and two-story layouts for homeshoppers to choose from," said Susan Wilke, Vice President of Sales and Marketing for Lennar Central Valley. "Each of these new homes will also showcase our Wi-Fi CERTIFIED™ home designs and integrated home automation features that all come as part of our Everything's Included® package." Among the five floorplans offered at Windmills, home sizes range approximately from 2,000 to 2,697 square feet, three to five bedrooms and two to three bathrooms. Included within the Cambridge Collection offered at this community is the Versa II plan, a Next Gen® – The Home Within A Home® floorplan. The Versa II is a single-story home that offers 2,430 square feet of living space that includes five bedrooms and three full-sized bathrooms. As a Next Gen® home designed with multigenerational living in mind, the Versa II features an attached private suite that has its own separate entrance, living room, kitchenette, full-sized bathroom and bedroom. An interior door connects the suite to the main home allowing for the flexibility of privacy or togetherness. Lennar is the first builder to offer Wi-Fi CERTIFIED™ home designs, which feature a series of built-in wireless access points throughout the home that pair with integrated home automation products and technology. Lennar's Everything's Included® program includes all these items as standard, meaning at no additional cost to the buyer, along with stainless steel appliances, quartz countertops and so much more. Homeshoppers should connect with a New Home Consultant to learn more and take advantage of pre-model pricing. Visit www.lennar.com/fresno or call (559) 554-1147 to get in touch today.